How many times have you had text in a textbox, placeholder, or shape that just didn’t fit properly? It happens to everyone. Luckily, you have lots of options. Sometimes you can resize the shape. Especially if it’s a textbox or placeholder with no border, the change might not be apparent. Here you see a slide title in a text placeholder. It never looks good to have one word wrap on a second line. So you can drag the right side of the placeholder until the word fits on the first line. But the right margin is now a little tight. Actually, one of the best techniques is to edit the text so that it fits. Always consider editing as an option. 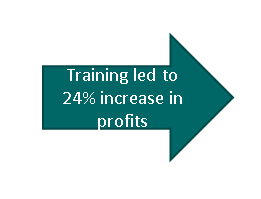 Here’s the same slide with slightly modified text. It’s hard to tell the difference, isn’t it? If you want finer control, you can choose More Spacing to open the Font dialog box with the Character Spacing tab on top. There, you can choose Condensed from the Spacing drop-down list and type a value in points. Click OK. A point is 1/72 of an inch, but it’s hard to know the result in advance; you just have to try various settings. Sometimes, you can change the spacing between the lines of text. For example, on the left, the text doesn’t fit well in the arrow. Changing the line spacing helps it to fit better. On the Home tab, in the Paragraph group, click the Line Spacing button, then choose Line Spacing Options. 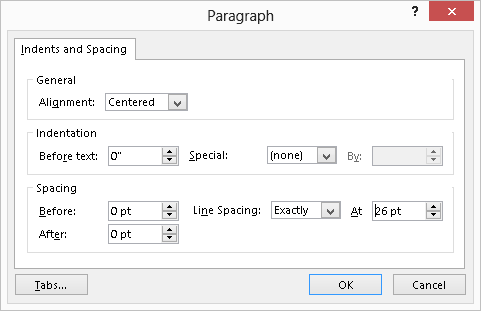 In the Paragraph dialog box’s Spacing section, click the Line Spacing drop-down list and choose Exactly. 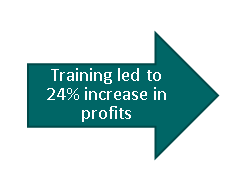 In the At textbox, lower the value slightly. You may have to try a few times with different values to get the best result. You don’t want the lines of text to be too close together. What is your favorite technique for getting text to fit in a tight space? Changing line spacing was much easier in some earlier versions of PowerPoint. You selected your text and then clicked an up arrow to increase spacing or a down arrow to reduce it. Best of all, you could see the changes at that moment. Wouldn’t it be great if they returned that feature? A trick I use to fit text into a shape is to right click the text, go to “format shape,” and change the left and right margins to 0. Best wishes, Ellen, for a wonderful New Year! Ellen, I often repost your “Tips”, especially when it’s especially enlightening : ) This time, I learned about “character spacing”….duh! Thank you! And I’m currently scheduled to be in Tampa around 2/26. Let me know if that’s anywhere near where you’re going to be, and we’ll get together for coffee. Thanks for mentioning that margin tip. I almost put it in this post, but decided that it wasn’t about changing font spacing. Also, I have an older tip on it at http://www.ellenfinkelstein.com/pptblog/fit-more-text-in-a-placeholder-or-autoshape/. You’re right — that’s often my go-to method of fitting more text in a shape. I find that the standard single line spacing often looks too spread out. Instead, I’ll set my slide masters for a narrower spacing. Whether it’s in the master, or in an individual text box, use the paragraph icon pull down menu to get to the dialogue box (as in your example above) and set line spacing to “Multiple”, then enter .8. This gives you more flexibility than the “Exactly” option, because spacing will stay proportionate when you change font size. I find that .8 works well for most fonts, but you may need to adjust this number for some of the less common fonts. 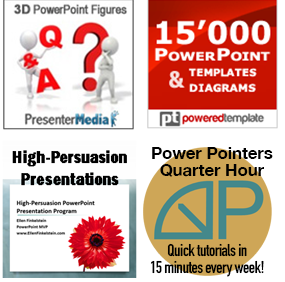 More often than not, we all find ourselves struggling with the text design in PowerPoint. These will be useful set of rules and tools. This is really helpful. I have a question about spacing of fonts. I need a divider page with a large number and when I increase the font size Power Point seems to add a lot of space above and below the number. I’ve tried working on the text box, internal margins are set to zero, changing the font, reducing character spacing, looked at kerning and nothing seems to remove the space below and above the font. Any idea how I can make this work? I would describe the increasing popularity of ‘Lucida Grande’ as the Facebook effect. Also, since it’s installed with Safari on Windows, which in turn is usually installed by the iTunes software updater, that’s a lot of Windows PCs that have this font installed (as well as practically all Macs obviously). 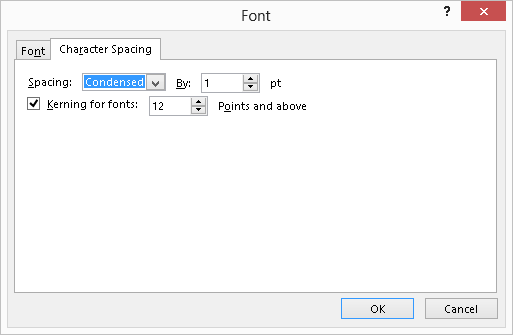 Is there a way to adjust word spacing (not character spacing) in ppt 2013? Natasha, not that I know of. I don’t know of a way to do that in Microsoft Word, either, which has better text tools. Why do you want to adjust word spacing? There’s probably another way of accomplishing your goal.